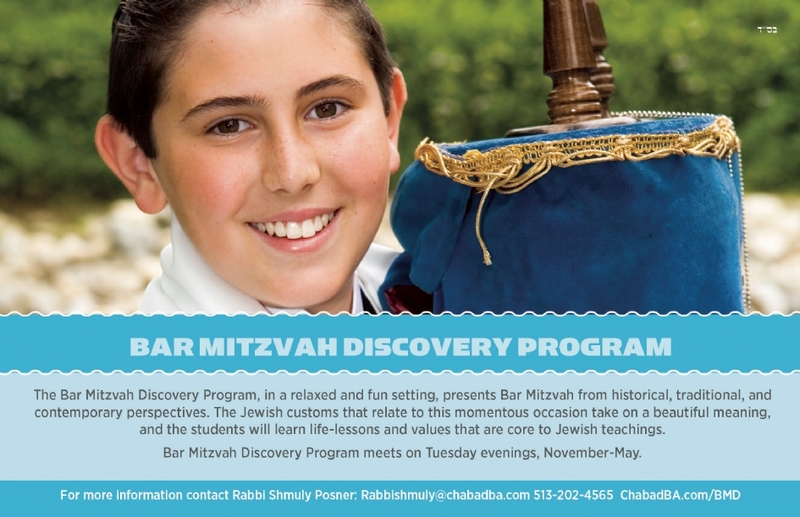 The Bar Mitzvah Discovery Program, in a relaxed and fun setting, presents Bar Mitzvah from historical, traditional, and contemporary perspectives. The Jewish customs that relate to this momentous occasion take on a beautiful meaning, and the students will learn life-lessons and values that are core to Jewish teachings. Please fill out this form as an initial registration for Bar Mitzvah Discovery Program. The following is a tuition agreement for Bat Mitzvah Club. The agreement explains the tuition fees, payments plans and refund policies. Please read it through carefully. If paying by check or cash, full payment must be submitted before any child will be permitted to attend. The tuition for Bat Mitzvah Club is $465.00 per year per child. $235 if your child is enrolled in Chabad Hebrew School (this includes a registration & book fee). You may pay the entire amount in full with a check, cash or credit card. Chabad Hebrew School students: You may pay the entire amount in full with a check, cash or credit card. You may pay the annual tuition on a monthly basis by submitting 10 checks of $46.50 each, or $23.50 each if your child is enrolled in Chabad Hebrew School, dated September through June. All checks must be submitted before the first day. You may use your credit card to pay the tuition on a monthly basis. Your credit card will be billed $46.50 monthly September through June. To do so please include your credit card number and expiration date at the bottom of this page. Chabad Hebrew School students: You may use your credit card to pay the tuition on a monthly basis. Your credit card will be billed $23.50 monthly September through June. To do so please include your credit card number and expiration date at the bottom of this page.